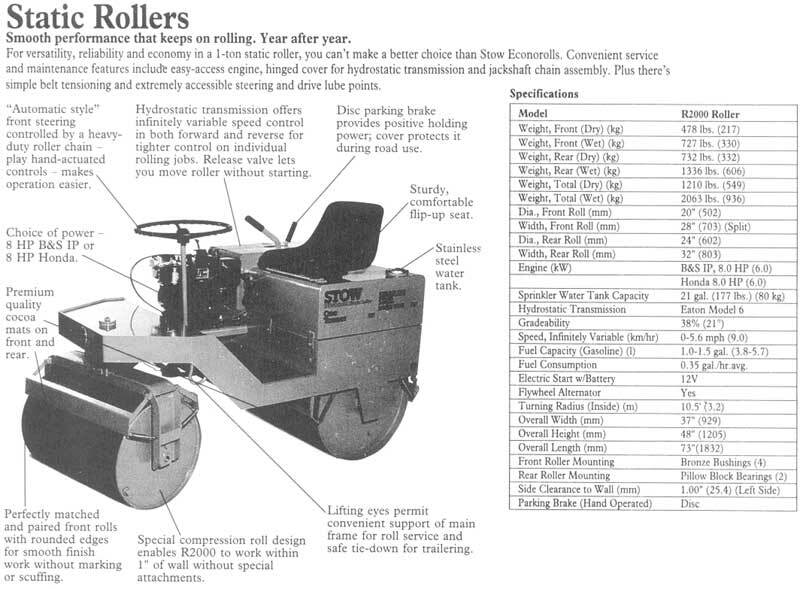 Description: For versatility, reliability and economy in a 1-ton static roller, you can't make a better choice than Stow Econorolls. Convenient service and maintenance features include easy-access engine, hinged cover for hydrostatic transmission and jack shaft chain assembly. Plus there's simple belt tensioning and extremely accessible steering and drive lube points.